The Divine Dreams slot is a real gift for fans of Eastern culture, who will have the opportunity to go to the jungles of Indonesia to get acquainted with the goddess of wealth and prosperity. The main heroine of the slot will meet her guests with generous gifts which materialize through the draws of the bonus features and bonus mode. The Divine Dreams slot takes place in the deep forests of Indonesia. Here the goddess of wealth and prosperity is worshiped. The legend says that she will bring well-being to all the islanders. The people living on the island create beautiful artifacts and then worship them and the nature around these artifacts. Quickspin developer took pictures, which symbolize the connection with nature, as well as the spirituality of this situation as the basis for creating slot symbols. Even more attractive looks design in the Divine Dreams, which guarantees a peaceful atmosphere and aesthetic pleasure. Such results were achieved through increased attention to the design of symbols, which include images of animal figurines and mystical stones with hieroglyphs. The central character of the slot symbols is the heroine herself, whose task is to launch free spins. You need to study the payout rates carefully to make bets in the Divine Dreams slot finish with benefits. The entire set of bonus features of the Divine Dreams is focused on the 6th reel, where multipliers most often fall out. Players will be able to increase earned line winning through the standard coefficients x1 - x10. Their values ​​increase in subsequent features.  The developer has released an additional tool – “Challenges”. It serves for gamification, where players can find mini-gameplay, besides the one they play. You need to lead the character through the maze by clicking on the payline and making combinations. Challenges are currently available at “Dwarfs Gone Wild” and “Goldilocks”. Soon this innovation will be implemented in other slots. “Re-spins” come in two variations and differ in some components. To launch “Super” or “Mega Re-spins”, you must catch the corresponding symbol on the 6th column of the slot. Mega - x7 - x30. In turn, “Super Re-spin” guarantees you at least one “Wild Yin Yang” symbol on reels 2 - 4. You can get "Mega Re-spins" on the multiplier from "Super Re-spin". When it happens, this value will be increased to x30 from the bet. There will be “mystical multiplier” in the end of “Super Re-spin” winnings. 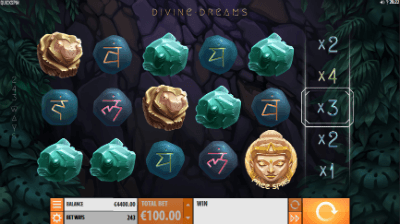 The latest version of the prize adds to the Divine Dreams online slot universal substitutes for “Yin Yang Wild”, which are thrown into random positions of 2 - 5 columns, and then choose an arbitrary Multiplier in the x1 - x10 range. The long-awaited meeting with the Goddess of wealth and prosperity will take place in the Divine Dreams only under the condition, that a set of 3, 4 or 5 “Scatters” fell on any cells of the playing field. The reward for such an achievement will be 8, 12 or 20 “Free spins” with a high probability of activating the above features, we were talking about and an additional award of +3 “Free Spins”, which prolongs them. It is a wonderful and very colorful slot for real and genuine fans of the exotic. We are sure that the creators wanted not only to attract the attention of gamers to the new slot, but also to make the game process extraordinarily colorful and interesting. We wish you good luck in your journey to the secrets of Indonesia.